WOSU TV and WPBO TV reach approximately 554,587 viewers each week with a core of PBS programming, original WOSU TV productions, and specialty programs, according to Media Audit Spring 2011 – Fall 2012. WOSU TV offers special programming such as Call the Midwife, A Capitol Fourth and Ken Burns’ documentaries like The Roosevelts, The Dust Bowl and The Central Park Five. WOSU TV enjoys a proud tradition of producing award-winning documentaries from John Glenn: A Life of Service to the Columbus Neighborhoods series, while also airing PBS favorites, such as Antiques Roadshow, Sesame Street, Nature, NOVA, PBS NewsHour and Masterpiece. In the minds of our viewers, PBS is recognized for and strongly associated with excellence, integrity, innovation, and diversity. As an underwriter, these are qualities that viewers will associate with you. Standard underwriting messages are 15 seconds. Ask about 30 second rates. WOSU Plus TV offers the best in popular PBS programming, combined with Create programs on cooking, travel, arts and crafts, gardening, and home improvement. 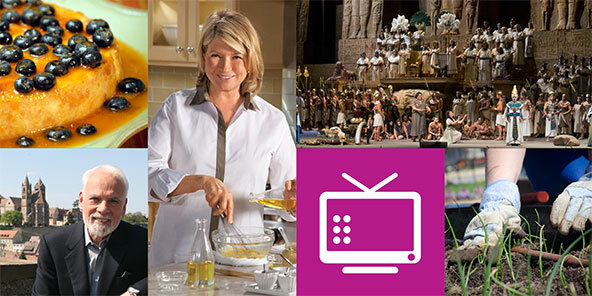 WOSU Plus TV delivers Create TV, a daytime how-to travel and lifestyle series of some of public television’s most popular programs including Rick Steves’ Europe, P. Allen Smith’s Garden Home, Martha Stewart’s Cooking School, and This Old House. WOSU Plus TV also offers a one-day delay of WOSU’s prime time PBS shows, such as Downton Abbey, Antiques Roadshow, Nature and NOVA. Weekends on WOSU Plus TV feature marathons of themed lifestyle programs.